* However necessary training and instruction will be reviewed for safe travel in glaciated terrain. View the Ishinca Valley Trekking and Climbing gear list (PDF). No trips are scheduled, but please contact us if you would like to put together a private or custom trip. The jagged glaciated peaks of the Peruvian Andes are favorites among alpinists looking for experience at high altitude in which to hone their skills. Its close proximity to the equator makes it famous for good weather and stable snow conditions. With its varied terrain, it is an excellent choice for a first time trek to high altitude. Over the course of your lifetime, as a novice or an expert mountaineer, you will want to return to the impressive Cordillera Blanca range. 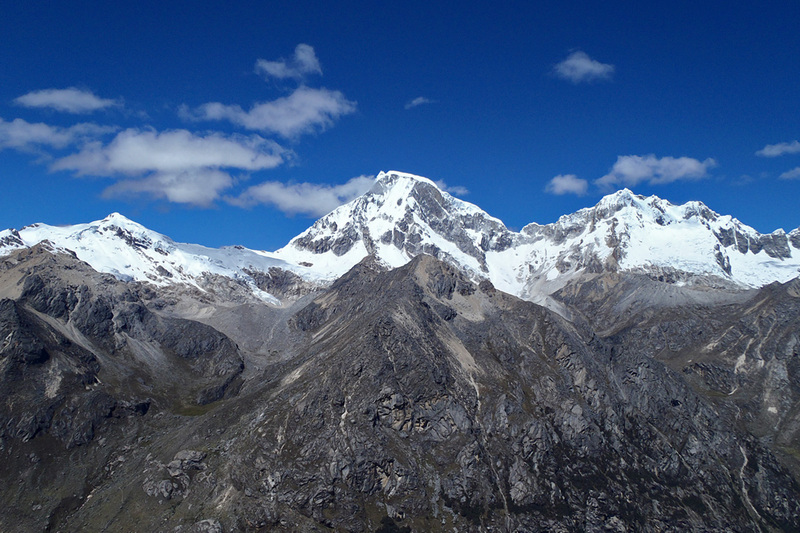 Nestled in the Cordillera Blanca Mountain range is the Ishinca Valley where you will explore 5-6000-meter summits. At our base camp, in order to prepare you for efficient mountain travel, our expert IMCS guides will demonstrate safe techniques for glacier travel, basic high altitude physiology, and general mountaineering movements. You will then use these skills by attempting to reach three of the surrounding peaks; plus, you may gain the opportunity to establish a high camp to attempt a 6000-meter peak during a two day alpine ascent. After flying into the capital of Peru, Lima, we will travel eight hours by bus north to Huaraz. Nestled in the Cordillera Blanca Mountains and sitting above 3000-meters, Huaraz will be our jumping off point for the expedition. After a few days of preparation and acclimatization, we will head into the Ishinca Valley Base Camp. Taking a van to the Pashpa Trailhead, and then hiking into the spectacular Ishinca Valley, we should reach camp in the early afternoon. Accompanied by burrows, each of us will only be carrying a light daypack for essentials. During these days of acclimatization and glacier travel review, the group will become acquainted with each other and the surrounding peaks. 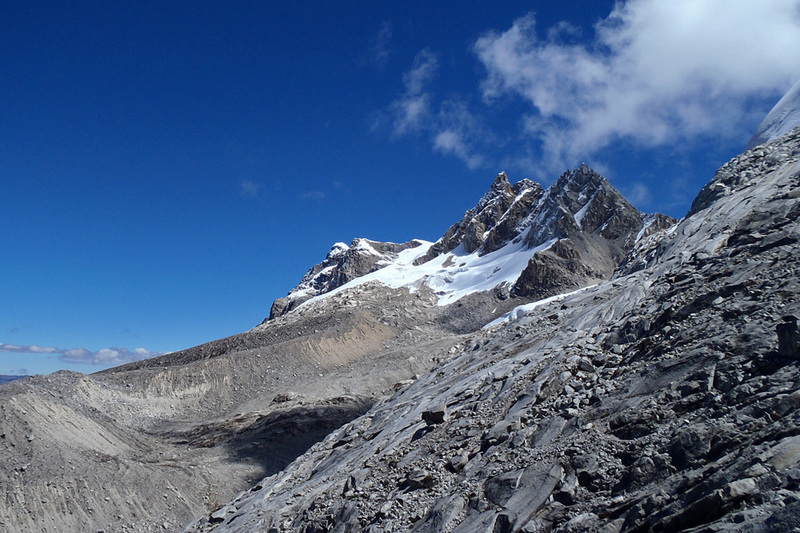 Urus Este (5,420 m) is reached via the southeast slopes to East Ridge, and is an excellent acclimatization peak. Rugged trails lead to a couple of hundred meters of glacier travel. The summit ridge offers exquisite views of the valley and peaks beyond. 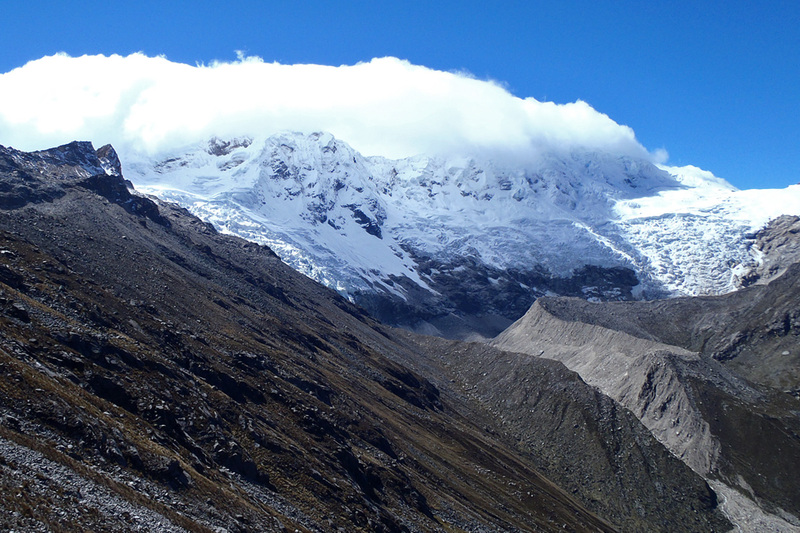 Ishinca (5,530 m) via the northwest slopes is just around the corner and out of sight from base camp. A longer and more complicated approach makes for a more strenuous day than at Urus Este. Crevassed glaciers and steep snow slopes guard the summit. Tocllaraju (6,032 m) via the northwest ridge is the most demanding and technically challenging of the three peaks. This mountain requires us to establish a high camp around 5,000 m on its massive flanks. From high camp, we will traverse glaciated terrain while aiming for the northwest ridge. Steeper still, we will belay each other through several technical pitches. A culmination of altitude and challenging terrain will put everything we learned to the test on this beautiful mountain. Dizzying views of the surrounding range will be your reward for reaching the summit. Returning to base camp the following day will be relaxing and casual. We will breakdown base camp and return to Huaraz for hot showers, good meals and, of course, celebration.